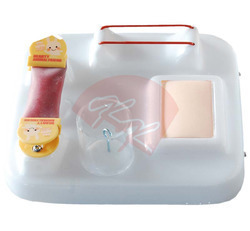 Description:The model provides trainings of incision, suturing and ligaturing of skin, blood vessel, intestinal canal and deep tissue. Karyotyping is a genetic test used to study an individual’s chromosome make-up. Chromosomes are separated from cells, stained, and studied under a microscope to determine the number and their structure. As per the needs of the customers, we are offering the best quality array of Biological Testing Service. Total Coliforms, E.Coli, Phyto and Zoo-planktons, Similarity index, De-similarity index, Kothe index, Shannon diversity index, Palmers index, indicators for pollution, Bio-assay etc. GenASIs Spectral, HiSKY®, aids in identifying small genetic translocations, insertions, markers and other aberrations. GenASIs Spectral, HiSKY's simplicity and robust set of features makes it the Gold Standard for Multicolor FISH. Biological researching for drugs and food products, fertilizer. 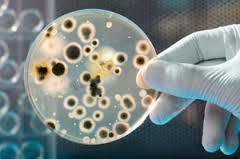 Bacterial & Fungal count, Pathogens like E-Coli, Staphylococcous, Salmonella sps., Candida Albicans, Pseudomonas, Clostridium, etc. Owing to the expertise of our hardworking team of professionals, we are affianced in offering Biotechnology Consultancy Services at industry leading price to our precious clients. Biological Testing Services Providers in India. Get contact details and address of Biological Testing Services firms and companies.